Damien Nettles’ Disappearance: Can You Help? Any information you might have could help. 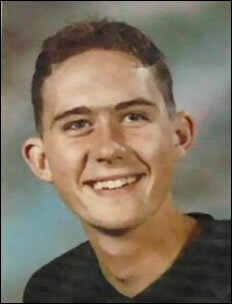 Yesterday saw the anniversary of the disappearance of Damien Nettles. Thirteen years ago, the 16 year old went out with friends in Cowes and was never seen again. CCTV footage of him in Yorkies chip shop shows him chatting to others in there, apparently relaxed. Watching the heart-rending video, the situation become all the more confusing where we are told that two of the people in the video, army officers, denied that they had spoken to Damien. Damien was last seen 12:02 and hasn’t been heard of since. If you know any information about that night, please contact Hampshire Constabulary on 0845 045 45 45, or Damien’s family through the Web site that they’ve setup for him.